I’m slumped over a table at Burger King. My bus is in 5 minutes and the bus stop is just across the road, but I’ll wait for the next one. The thought of actually moving so that I can get to the bus stop in time is too much to bear. I’m slumped over a table at Burger King because I’ve just eaten the new Full Meaty burger, and it has defeated me. 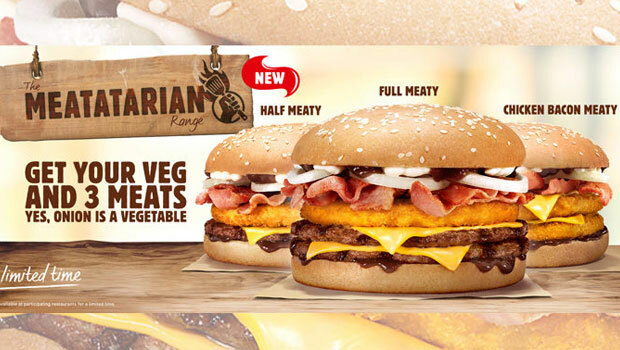 To a hungry past me, a burger comprising two beef patties, a chicken patty, bacon, and almost nothing in the way of vegetables seemed like a good idea—enough to overlook the cringeworthy name of the range it’s from: “Meatatarian”. I’d seen the Half Meaty on the menu, with its single pathetic beef patty and measly helping of chicken and bacon, and scoffed. A Full Meaty was the only meaty for me, or so I thought. I’m slumped over a table at Burger King because I feel sick. This isn’t to say the burger wasn’t good—it most assuredly was—but my guts feel like they’re now home to a cannon ball. I’ve heard people talk about this post-takeaway “pit in the stomach” but I’ve spent a lifetime honing my fast-food eating talents; I thought this was just the refrain of MasterChef-watching food snobs with bellies too frail to know better. I’ve eaten Double Downs, 4X4s, macaroni cheese burgers, and even this monstrosity without blinking. I’m slumped over a table at Burger King wondering if it was worth it. 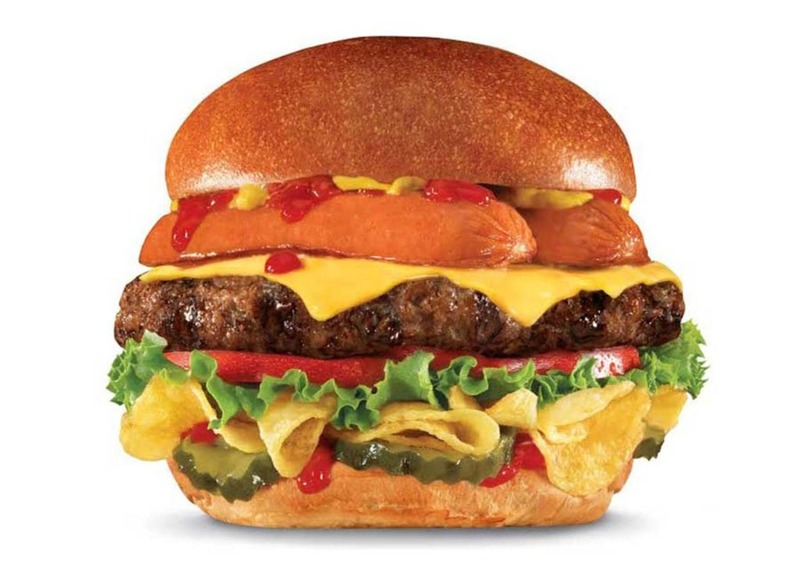 The burger was nice, sure, but it tasted more or less like a Streaky Bacon Steakhouse, BBQ Rodeo, or BBQ Bacon Double Cheeseburger. In Burger King’s ever-growing range of “beef, BBQ sauce, onion, and bacon” range, there’s little to distinguish one burger from another. With the Full Meaty, the BBQ sauce and bacon just overwhelms everything else. I’m slumped over a table at Burger King. “Do you want another one?” my wife asks, laughing. I try to shoot her an angry look, but I’m so tired and ill from this culinary ordeal that all I can manage is a pathetic groan. “What about a Hershey Pie?”. Another groan. I surprise even myself with this; me turning down the synthetic chocolaty goodness of a Hershey’s Chocolate Pie is unheard of. I’m slumped over a table at Burger King, but I imagine that, as soon as I get home, I’ll be slumped somewhere very different indeed.